The principal objective of this congress is to produce a platform for cutting-edge research in epigenetics and chromosome. Through energize sessions and many of networking, you may learn to be more brave and audacious than you're now and liberal to develop your mind, increase your business, and alter your bottom-line in a positive approach. This event is accredited by the Continuing Professional Development (CPD) credits. The Certification enlightens professionals to authorize their expertise into a structured and established approach towards the hunger of knowledge. 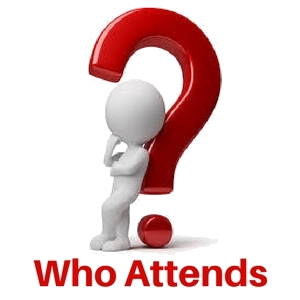 Epigenetics Congress 2019 typically incorporates lectures, paper, and poster sessions, and panel discussions with prominent international experts and scholars. We also feature product exhibitions, workshops, and student research competitions that generate networking opportunities for all attendees. 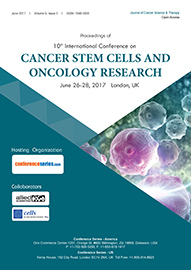 Abstracts Submissions are open in all areas related to Epigenetics, Genetics, Cancer Sciences & Molecular Biology. We are providing a unique learning and career building opportunities through Scientific Sessions, Workshops, Keynote forums, Posters that you just can’t find anywhere else. The 2019 Conference is bringing together 50+ professionals from 23+ countries for the education, innovation and collaboration – all at one time, all in one place. Choose from 20+ education sessions, 10+ exhibitors, and endless networking events. Epigenetic and transgenerational epigenetic inheritance research is performed on multiple varieties of mammal, insect, and plant. Pesticides are the reason for having dramatic transgenerational epigenetic effects on several of the animal models that affecting the nervous system, reproductive and endocrine systems, and even causing cancer. Behavioral epigenetics is meant by study the role of epigenetics in shaping animal and human behavior. It’s an observational science that explores that how the nurture shapes the biological heredity, wherever nurture refers to nearly all things that occur throughout the life-span like social-experience, diet and nutrition, and exposure to toxins. Behavioral epigenetics is giving a structure to grasp regarding how the expression of genes is altered by experiences and surroundings for forming the variations in behavior, cognition, personality, and mental state of everyone. Cancer epigenetics is considered as the study of actual heritable changes to molecular processes that influence the flow of information between the DNA of cancer cells and their gene expression patterns. This includes a comparison between the tumor cell and normal cell and investigation of nuclear organization, DNA methylation, and Histone modification and also the consequences of genetic mutations in genes encoding epigenetic regulators. DNA methylation patterns undergo complex changes in cancer. A chromosome is a DNA molecule within which either part or all of the genetic material is present. The condensation of chromatin is employed to create the chromosome. Chromatin structure depends on many factors. Chromosomal speciation is one among the most important modes of the origin of latest species through the splitting of pre-existent species. New species might originate by gene evolution, and conjointly by the establishment of post‐mating reproductive isolation through structural chromosome rearrangements. The latter might induce low‐hybrid fitness, generated by macromutations, and even by micromutations, that is, molecular changes inflicting meiotic disturbances (e.g. GC incompatibilities), though the latter awaits empirical support. A chromosome abnormality, disorder, anomaly, aberration, or mutation could be a missing, extra, or irregular portion of chromosomal DNA. It may be from an atypical variety of chromosomes or a structural abnormality in one or additional chromosomes. Chromosome mutation was formerly utilized in a strict sense to mean a modification in a chromosomal section, involving more than one gene. Occasionally in genetic studies or in plant breeding, there's advantage in manipulating no single genes however massive arrays of associated genes. Such arrays might include all of the genes in a set of chromosomes, or on one chromosome, or on a section of a chromosome. Many of the process, mathematical and applied math strategies, ranging from data processing, sequence analysis, molecular interactions, too complicated system-level simulations, are according within the literature. Efforts are channeled into the text mining of epigenetic data, though development during this field remains at an early stage. DNA methylation is a method by that methyl groups are added to the DNA molecule. Methylation will modify the activity of a DNA section without ever-changing the sequence. When placed in a gene promoter, DNA methylation usually acts to repress gene transcription. DNA methylation is important for normal development and is related to a variety of key processes including genomic imprinting, X-chromosome inactivation, repression of permutable elements, aging and carcinogenesis. Epigenetic modifications are the cause for the malady developments, environmental exposure, drug treatment, and aging. Epigenetic changes will be reversible and are doubtless targeted by the pharmacological intervention. Epigenetic changes are the factors of human diseases, including Fragile X syndrome, Angelman’s syndrome, Prader-Willi syndrome, and numerous cancers. Concerning eightieth of brain disorders are connected with multiple genomic defects in conjunction with environmental factors and epigenetic phenomena. Epigenetic changes have an outsized variety of effects on the aging process.Atvaried levels, these epigenetic changes occur, together with decreasing the amount of the core histones, changes within the patterns of histone post-translational modifications and DNA methylation, substitution of canonical histones with histone variants and changes the noncoding polymer [removed]during each organismic aging and replicative senescence). The reversible nature of epigenetic data provides an exciting path for therapeutic intervention in aging and age-associated diseases, as well as cancer. Epigenetic therapy is supposed to use the medication or epigenome-influencing techniques to treat medical states. Histone deacetylases (HDACs) that modify histones and DNA methyltransferases (DNMTs) that methylate deoxyribonucleic acid are the 2 enzymes that are necessary for epigenetic modifications and key targets for therapy with pharmaceutical drugs. Successful clinical studies disbursed for each the enzymes. Epigenetic therapy has shown a powerful effectiveness against hematological malignancies and solid tumors, gaining FDA approval for connective tissue T-cell cancer, ER-positive metastatic breast cancer, myelodysplastic syndrome, multiple myeloma, and peripheral T-cell cancer. Epigenetic therapy has verified productive for many styles of cancer, together with lung cancer, breast cancer, and lymphoma. Epigenetics is meant by the study of hereditary changes in gene function without involving the changes in DNA arrangement. It primarily involves the changes in a chromosome that affects gene activity and functions, and even be used to report any heritable phenotypic change which does not derive from a modification of the genome. Epigenetic change can be influenced by several factors like age, the environment, and disease state. 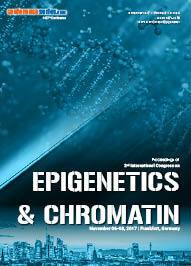 A comprehensive study of the importance of epigenetics to health management is provided by the Medical Epigenetics. Medical epigenetics is that specialize in human systems, epigenetic diseases and coverings supported epigenetics-disorders and diseases. Medical epigenetics can cover all human systems relevant to epigenetic maladies. When the gathering of genomic info and related information like the degree of RNA, proteins and varied metabolites that are crucial factors in medical, the genomic or personalized medicines are given to patients. Epigenetics within the nervous system is that the study of the interaction between epigenetic method, that regulates gene expression without dynamic the DNA sequence, and therefore the development, physiology, and functions of the nervous system. The epigenome is meant by the study of epigenetic modifications on the genetic material of a cell. The sector is parallel to genomics and proteomics that is the study of the genome and proteome of a cell. Epigenomic maintenance (continuous process) has a very important role in maintaining the stability of eukaryotic genomes by collaborating with crucial biological mechanisms. Some epigenomic marks like plant flavones can cause cancers. Epigenetic mechanisms of the pathological process are involved in many Central nervous system diseases, containing neurodevelopmental disorders of cognition where interruption in learning and memory are the first clinical abnormality. Cognition typically refers to the mental processes comprising the gain of information and also the ability to understand the same. There are about eighty-six billion neurons within the human brain that are from sets of huge and little scale synaptic networks. These networks form structures that perform as networks for learning and cognition. Nutriepigenomics generally refers to the study of food nutrients and their effects on humans throughout the epigenetic changes. Nutritional imbalance during the early stages of life may also cause non-communicable diseases such as obesity, hypertension, cancer, and cardiovascular diseases. The period of development in which the nutritional imbalance occurs also determines the type of genes which will be affected. In nutriepigenomic studies there exist, certain models, to brief the role of nutrition on phenotype. One of the interesting methods is the catch-up method in which the offspring of the rat is subjected to different types of diets and then cross-fostered with the normal rats. Plants are primarily depending on epigenetic processes for their correct functions. Plant epigenomes are additionally vulnerable to environmental influence than those in animals. Epigenetic mechanisms are needed for correct regulation whereas epi-alleles and epi-mutants, very like they're genetic enhances, describe changes in phenotype related to distinct epigenetic circumstance. The study of epigenetics in plants is scientifically enthusiasm as a result of epigenetics have long-standing importance in agriculture. As per the present excitement of field of genomics, we are able to simply forget that genes are simply little sections of DNA and part of abundant larger structures referred to as chromosomes. Transgenerational epigenetic inheritance is that the transfer of knowledge in organisms from parents to a kid that affects the characteristics of future generation while not altering the first structure of DNA that's epigenetically. The term "epigenetic inheritance" could also be used to describe info transfer in both the between cell and cell or organism and organism in organisms. though in unicellular organisms these 2 levels of epigenetic inheritance are equivalent, they'll have distinct mechanisms and evolutionary distinctions in multicellular organisms. Research and diagnostics areas in gene regulation studies, biomarker detection, and drug discovery cover the market of Epigenetics Technology. It includes the factors driving and dominates the market and conjointly covers the market theme in the United State, Europe, Asia, and all the other countries. Its market is set to realize USD 1,605.7 Million up to 2022. It’s USD 854.0 Million in 2017, with CAGR of 13.5% amid an anticipated amount. The event of the market is handled by the decreasing sequencing prices, increment in explore exercises, rising pervasiveness of malignancy, and nice government financing for epigenetics. Epigenetics has been finding out significance as a promising logical approach for understanding the impact of the epigenetic instruments in malignancy and totally different sicknesses. Quick progressions are happening particularly within the field of therapeutics. The industry is seeing an additional extensive acknowledgment as an additional range of academic research colleges; biotech and pharmaceutical company organizations can embrace Epigenetics primarily based approach in diagnostics and therapeutics. Every day brings new suggestion that the mind-body association reaches right down to the activities of our genes. How this activity changes in response to our life experiences is referred to as “epigenetics”. Regardless of the nature of the genes we inherit from our parents, dynamic change at this level allows us almost unlimited influence on our fate. 5th World Congress on Epigenetics and Chromosome hosted by ME Conferences was held during November 15-16, 2018 at Istanbul, Turkey on the theme "Shaping the future of Epigenetics and Genome Biology"
Prof. Ihsan Soytemiz, President of Turkish Biologist Association, Turkey. We were overwhelmed by his generous response. Epigenetics Congress 2018 Organizing Committee extends its gratitude and congratulates the Honourable Moderators of the conference, Ms. Samantha Gooden, CEO of Scotch Bonnet Ltd, Trinidad and Tobago and Dr. Emine Kandemis, Bahçeşehir University, Turkey for their preeminent contribution towards smooth functioning of this esteemed event. 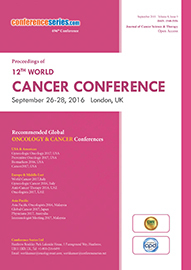 We acknowledges the help of the Honourable Chair Dr. Saleem Ali Banihani, Jordan University of Science and Technology, Jordan and Co-Chair Dr. Emine Kandemis, Bahçeşehir University, Turkey for session Epigenetics | Chromatin | Cancer Epigenetics and Chair Dr. Nail Hasan, King Saud bin Abdulaziz University for Health Sciences, Saudi Arabia and Co-Chair Mr. Mazhar Iqbal, Biochemy, Pakistan for session Genomes and Epigenomes | Cancer Epigenetics | Epigenetics. Their support brought this event to its grand success. Epigenetics Congress 2018 has taken the privilege of felicitating Keynote Speaker Dr. Saleem Ali Banihani, Jordan University of Science and Technology, Jordan whose attempts made the social occasion to move in the method for achievement. We were indebted by your presence. We sincerely thank the Organizing Committee Members Prof. Ihsan Soytemiz, President of Turkish Biologist Association, Turkey, Dr. Indraneel (Neel) Mittra, Tata Memorial Centre, India and Dr. Nehir Özdemir Özgentürk, Yildiz Technical University, Turkey for their gracious presence, support, and assistance towards the success of Epigenetics Congress 2018. Last but not the least ME Conferences wishes to acknowledge with its deep sincere gratitude all the supporters from the Editorial Board Members of our Open Access Journals, Keynote speakers, Honourable guests, Valuable speakers, students, delegates and special thanks to the Media partners for their promotion to make this event a huge success. 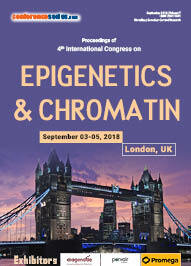 We hope your favorable support will make next series 6th World Congress on Epigenetics and Chromosome to be held during November 11-12, 2019 in Amsterdam, Netherlands one more grand success event. Mark your calendars for the upcoming Conference; we are hopeful to see you soon! I found the Epigenetics Congress 2018 was very well organized and all went very great! I would like to thank you and all for their efforts. I'm sincerely grateful to you for the nice possibility to present my results at your conference. 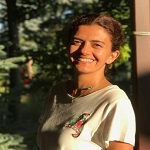 We talked epigenetically, we talked about yoga...thank you for your nice invitation.